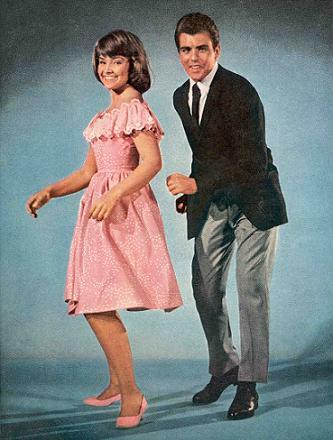 Many east-siders probably remember going to Notre Dame dances in the 60's. All the Motown artists used to come and lip-sync to their records. Local neighborhood bands got to play live. Father John Bryson was in charge. Remember, if you wore glasses, he would call you "Hollywood". He would never let the bands or DJs play Louie-Louie because of the supposedly dirty lyrics. Joe Ricci, the car dealer and a Notre Dame alumnus, used Father Bryson in a TV spot a few years back. Does anyone know if Father Bryson is still alive? Guys would come to these dances from many different high schools just for the fights. I think that some of the local neighborhood bands that played there were "The Other Guys" and "The Underdogs" and maybe "Toby Red". Does anyone remember any others? Later on, during the hippie period, ND also had rock concerts with bigger bands besides just dances. I am a former NDer(I guess we are all now ) and a member of the alumni association. Father Bryson is in poor health, though he took the time recently to write the Alumni Association. I am too young to remembered the 'sock hops', though they were of legend around school. Father would serve us slurpees in the cafeteria at lunch. And yes he called everyone "Hollywood". He was loved and well respected. Thank you so much for your continued prayers and best wishes from shortly after Christmas up to now. I can really attest to the fact that your kindness and continued prayers to God Almighty has been a saving grace for me. With the help of my brother Paul and Ev and Irene, I am trying to recompose my thoughts and thank you for helping me get where I am today. The staff and Support I've received from here at Elizabeth Seton Residence has been unique; they tolerate my demands, smile and help me the best they can; they even allow and endure my outbursts. I do want to tell you that I no longer have to undergo dialysis three times weekly. I know you like the little details but my urine flow remains good therefore, they've taken out the tubing through which the dialysis occurred. That in itself means they do not expect that I will need that again. It all happened just about at the end of the 4th month which is what the Urologists gave me as a point at time when it might occur if I were lucky. Again, your prayers were a great asset. Right now, I'm dealing with frequent sores that continued to occur on my lower legs and feet. Both lower legs are encased in continuous air flow open boots which help the circulation there but also prevent irritation from the sheeting. Unfortunately, one sore heals than another area seems to breakdown. With this continued occurrence I have not been able to put any weight bearing on my legs. My sister, brother in law, and brother encourage me to do some leg raising as much as possible but it doesn't seem to penetrate. As you: all know I'm just not a good one for exercising routinely even though I can talk a good game about it. My diabetes remains under control and all my other vital signs are good. They are allowing me as many diet ginger ale drinks as I want. However, my appetite is not too great and therefore I am not finishing my meals although they are controlled and within my diabetic requirements. Here again I know I should eat to help me get some return of my strength but it just doesn't seem to work. I've been very fortunate to have Fr. Cooling and Brother Leonard visiting with me and making sure I have my favorite statues with me and various booklets from my room. They also brought my TV so I can enjoy my great Red Sox! My friends in the Detroit area must be enjoying the rebirth of the Tigers! Although I have a telephone handily at my bedside, only recently have I been able to pick it up since I now have hearing aids. Not only can I hear the phone ring, people speaking to me on the phone but also hear the RED SOX!!! Please feel free to call if you want to the better hearing Fr. Bryson. (Tel: 781-235-4541). Once again, I appreciate your very kind and thoughtful remembrances of me and the many prayers and good thoughts you sent my way. GOD BLESS; I WILL REMEMBER ALL OF YOU IN MY PRAYERS. Thank you, Baltgar, for sharing that info. I am also a graduate of ND. I, of course, remember Father Bryson strolling the hallways, prayerbook in hands. It's so nice to realize that he lived to see the Red Sox win a World Series. Regarding the dances and shows, he either had some very aware advisors, or possessed uncanny personal hipness as to which acts were popular. I was a bit too young to have seen the Motown acts there, but I specifically recall seeing Toby Redd, Frijid Pink, and The Frost there, possibly all on one bill. Bob Seger appeared there; my older bro (also an alumnus) has the poster to prove it. At the time of my graduation, there had not been a "dress code" for a couple of years, and at that time, I was probably the record-holder for Longest Hair On A Notre Dame Graduate. The last ND yearbook (2005) has some classic shots of the old sock hops. On another subject, the vacant property on Kelly Road looks pretty rundown after only a year. By the time I attended ND (76 - 82), the dances or battle of the bands was winding down, but I still got to see a few great local bands. I always heard an "Urban Legend" that Bob Seger played ND once, is that true. And yes, the building is in pretty bad shape already. On a recent visit back to Detroit in June I drove by with my son. My son was so bummed when it was announced that ND would close, because if we had stayed in MI he wanted to attend the high school, his old man attended. I was sad for him and all the other young men who were or were planning to attend the school. One memory I have of the dances was getting whacked by one of the priests for dancing a little too close to one of girls! Could you imagine that happening today? One of the bands (can't remember the name) had a tower on the stage with a horn that spun around making the strangest noises. We wrote an article in the ND school paper in 79 about all of the bands that played there. In the 70's it was big times for Salem Witchcraft, Adrenalin, The Almighty Strut and lots of others starting out. In the article Fr Bryson said Seger played there along with Frijid Pink and people like Fabian. It was a big thing for local bands to play in front of an audience of 1,000 plus in the gym. Fr. Bryson is awesome! My father, uncles and all my prothers went to ND. Bryson would always stop me and inquire about the family. I loved the way he talked. I heard the sock hops were the place to be back then...God Bless Fr. Bryson! Seeger, Frigid Pink, The Frost, Nugent, all played there. Like, Pacydude, man, like get the spelling right. Pete Seeger did not play there, and that's "Frijid" with a J, man, like just to be freaky, y'know? And-- in the name of good catlick education-- WHY do people not READ the threads before posting? I SAID that Bob Seger was there, and three posts later, someone wants to know if it's true that he played there. By the way, the poster my brother has is a real throwback; it says, "Bob Seger & The Last Herd," which was Seger's group pre-dating the Bob Seger System. By the way, Frost's "Rock And Roll Music" still makes the hair on the back o' me neck stand straight up, laddies. Thanks for the information about Father Bryson and the link to the ND website. I will definitely send him a card. I was a memeber of the last class to graduate from ND, the class of '05. While I attended long after any type of concerts had stopped at ND, Fr. Bryson was still there for 3 out of my 4 years at the school, and his well stocked jukebox lived on till the very end. I managed to get most of the remaining record collection when the school closed, although I was told most of it was sold off a few years before, so I didn't get anything to special, and nothing very valuable. I was a sad day when ND closed, but the legend will always live on. Why did you attend ND for six years (76-82)? Most of us got out in four. You must have really loved it there! I'm sure that your parents (or you)enjoyed paying two extra years' tuition. Don't get mad, I'm just playing with you! A lot of the groups named above were also regulars at the Hideout, which wasn't that far from Notre Dame. My parents had greased the skids for me to attend Notre Dame if I didn't do well enough to get into Cass. I got into Cass. Jokerman - good catch, and I can take a joke. What was even funnier was Ravine's whining about me NOT reading he post, because he SAID that Seger played there. Relax Ravine, it not worth shouting about. That is the snobby attitude that has driven many good poster from this forum. I'm not snobby, I'm Irish. We're all pricks. Well, actually, we're all snobby, too. Since we both went to ND, we have to be pricks. Darn tootin'. Or are you speaking specifically, or making a genitalization? Here's the link to Joe Ricci's (ND class of 67) TV commercial with Father Bryson. anyone know any famous alumni from ND other than Dave Coulier? Matt Servitto of the Sopranos, Dave Bonior, Doug Weight are just a few. Some locals who are well known graduates include Carl Marlinga, the guys who own Hanson's Running Shops, and Joe Vicari the owner of the Andiamo Italian Restaurants. Bonior...I usually tell people I didn't realize he was a ND alumni. Also there were a few NHL players (Chris Luongo was one).